A deep understanding of the underlying structure of narrative makes it possible for individuals and organizations to predict where their stories are leading them. If the outcome turns out to be undesirable, key leverage points exist that—if engaged—turn the tide of narrative and align the flow to a different path. The only question to be asked is—what story do you want to tell? 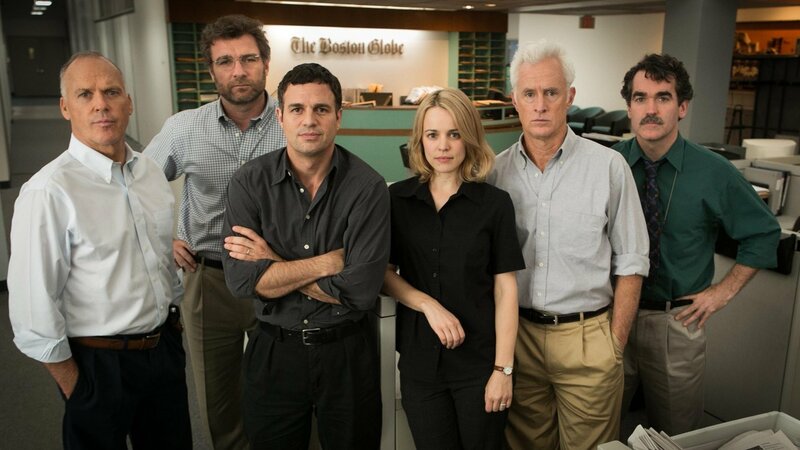 The writers and directors behind this year’s Academy Award winning film Spotlight used narrative structure to bring meaning to the chaotic and despicable events surrounding the sexual abuse scandal within the Catholic Church. While effective in its application, the unfortunate reality of the situation is that they only told the story after the fact. Imagine the lives protected and suffering avoided if they were somehow able to predict the narrative of the Catholic Church during the scandal. Instead of looking back, we could look forward and alter the course of human events. Concluding our series on Structuring Narratives in the Real World, we now turn our attention towards using narrative to predict and set strategy for individuals, businesses, and corporations. If story is—as [the Dramatica theory of story] suggests—a model of a single human trying to solve a problem, then treating larger organizations as a single group character makes it possible to see patterns and trends within the day-to-day operations. The narratives in our life are fractal—that is, what works for us as individuals works for larger groups of “us” when considered as an individual. In this context, a woman’s group or a city or a nation could be considered an individual with a point-of-view in a story. To move up and down in scope, the narrative analyst requires a story tool that scales. Thankfully, Dramatica provides that functionality. This kind of scalability is described by a Dramatica concept referred to as the Story Mind. In fiction, characters are not only individuals but come to interact in stories as if they are aspects of a larger, overall mind set belonging to the structure of the story itself. So, for example, one character may emerge in group actions and discussions as the voice of reason while another becomes defined as the heart of the group and is driven primarily by passion. Stories reflect the way people react and behave in the real world, and so we find that when individuals band together as a larger unit, they fall into roles so that the unit itself takes on an identity with its own personality and its own psychology, almost as if it were an individual itself, in essence, a Story Mind. In the William Holden WWII prison camp film Stalag 17, the men of Barracks 4 act as [the collective Main Character for the story]. We see and experience the story through their eyes, we maintain their unique perspective on Sgt. Sefton’s apparent culpability in the Nazi plot. This same technique applies to identifying and assessing narratives in the real world. Similarly, if several groups become bound as when a number of factions join as members of a larger movement, the movement begins to take on an identity and the factions fall into roles representing aspects of our own problem solving processes. Like nested dolls, Dramatica can move up and down the scale of magnitude from the individual to the national or even international level and its ability to analyze and predict based on its underlying model is equally effective. This phenomenon is referred to the Fractal Storyform. In actual practice, many groups of interest are ill-defined, have blurry edges and indistinct leadership. Still, the core motivations of the target group can be determined, and from this the edges of the group can be refined sufficiently to create a storyform of the appropriate magnitude to the task at hand. Real world “groups of interest” may be difficult to distinguish, but identifying their collective group motivations helps unite them into a single perspective. Establishing these players is the first step when working through the subject matter of your story. After identifying the key players in the story, the analyst—along with the client or anyone else involved in the narrative process—begins to zero in and list out related areas of conflict to explore. Story is a process of resolving or justifying an inequity, removing or balancing an imbalance. Differentiating possible sources of inequity solidifies the story being told. Lastly, the potential areas of influence need discernment. Leverage points and alternate points-of-view should be evaluated as to their impact on the key players and their involvement in the creation and/or continuation of conflict. With the key players, areas of conflict and areas of influence properly identified, the only remaining step is to determine the primary question. We look to stories for answers. Placing our individual issues in context and offering potential means of resolution, stories address our internal yearning for meaning. This is why so many see narrative now as the means to move forward. Familiar with its potential to answer questions for the individual, we look to see similar results for larger collective problems. What would motivate a fluctuation in the commodities market? How can consumers be encouraged to embrace a new product? Why is this country refusing to show up to the negotiation table? Defining the question sets the purpose of the story in motion. We experience a million different narratives day-in and day-out; asking the right questions towards refining our focus helps clear away the chaos and noise from the other stories in our lives. Dramatica is a model of our complex web of motivations and the tensions that pull upon them. From this motivation map you can project likely behavior. But it must be done in regard to specific problems, situations or contexts. If you have multiple context, you need to prepare a separate storyform for each. All of this would be theoretical and speculative—if it hadn’t already been put into action and used to effectively answer a burning and pressing question for a volatile industry. Subscription fees to ESPN’s networks account for more than half of Disney’s total revenue from its cable networks division. During my last orientation at Disney Feature Animation in 2013, I remember the surprise we felt in the room when it was revealed that it wasn’t the parks that generated the most income for Disney—it was ESPN. That reality seems to be on the decline, along with ESPN’s fan base. The drop in numbers represents more than simply a trend towards saving money, it signifies a loss in trust. The frustration felt by ESPN/Disney and the unresolved nature of this isue was something narrative analysts familiar with the Dramatica theory of story predicted…two years ago. In November of 2013, a team familiar with the Dramatica theory of story, met with subject matter experts at Sparks Grove, a global management consulting firm, to discuss the use of narrative theory in analyzing and developing strategies for businesses. This Thoughtform team discussed several different scenarios, with the future of Pay TV and OTT rising to the top. Companies that find themselves in disruptive, unpredictable environments can use story modeling to anticipate potential futures and market changes. By drawing on our innate ability to understand narrative, story modeling is a faster, more agile, and more intuitive alternative to traditional future visioning. The findings of the paper are fascinating—if for no other reason than how accurate their predictions were. For instance, ESPN’s steadfastness in its theory that it could remain the leader in delivering sports content led directly to its unresolved internal issues. For those familiar with Dramatica, the analysts discovered that ESPN’s Main Character Resolve of Steadfast in its Main Character Problem of Theory that it could dominate all outlets would lead directly to a Story Judgment of Bad. The Thoughtform team predicted how this narrative would play out two years ago, and the events of this year proved them correct. Instead of witnessing a Main Character ending a story saddled by internal personal angst—like William Munny (Clint Eastwood) in [Unforgiven] or Leonard Shelby (Guy Pearce) in [Memento] or Jake Gittes (Jack Nicholson) in [Chinatown], we are witness to a collective Main Character stricken with internal unresolved issues within the group. Instead of riding off a rain-soaked assassin or remembering to forget who you killed or confused as Hell as to how the tycoon managed to make off with his granddaughter, ESPN and its parent company Disney are at odds internally as to how to proceed. Which is precisely how it should be because of the narrative being told. The primary question asked was “How can Pay TV Providers (cable companies) survive OTT?” Again, the narrative analysis provided by the Thoughtform team answers this question clearly…and their predicted solutions revealed in recent press. The survey said that pay TV operators need to evolve their business plans to stay ahead of the competition. In particular, in the view of respondents, operators with the ability to combine TV with a larger multi-play offering will be better placed to win consumer loyalty and deliver a compelling offering that can compete with OTT entrants. “To keep viewers hooked on their content, pay TV providers will need to further invest in delivering a contextually rich viewing experience. Leveraging the power of the internet, they can provide viewers with an experience that is more relevant, enhancing content through a wealth of contextual services such as data enrichment; personalisation; and advanced social and viewer engagement capabilities on every screen, including TV sets, smartphones, and tablets,” she noted. In fact, the more Steadfast ESPN remains, the more readily consumers—as the group Influence Character—will continue to be forced by this narrative into adopting even more “illegal or questionable behavior, like sharing passwords, piracy, or other unofficial outside sources.” ESPN’s steadfastness is driving consumers into Changing their paradigm towards more illegal means (Influence Character Resolve Changed, Influence Character Solution of Non-Accurate). ESPN is effectively its own worst enemy and—as predicted once again by the Thoughtform team—must find a way to Stop this approach if they are ever to grow to a point where they can meaningfully Change their paradigm (Main Character Growth of Stop). The central problem for everyone lies in consumers thinking OTT is completely acceptable (an Overall Story Problem of Accurate). By delivering “contextually rich viewing experiences” that supersede OTT offerings, Pay TV providers were able to end this narrative with a Story Outcome of Success. Whether or not they were privy to this narrative analysis two years ago or not matters little—the result is the same. Defining the story is one thing; analyzing the data for possible success strategies is another and phase two of this deep narrative process. By adjusting key story points within the narrative, the analyst can determine alternate scenarios. With this in mind, the purpose of a deep narrative analysis is clear: Show where the present narrative is headed and offer alternative futures by suggesting key leverage points. a Triumphant ending (Success/Good) where Pay TV is able to develop the skills necessary to compete and ESPN finds its place between the cable companies and the consumers by focusing on threats to its bottom line and its ability to form strong opinions. These alternate realities could be made a reality simply by adjusting key story points here along the way to help nudge the narrative in a new direction. For each of these possible scenarios, the Thoughtform details the key leverage points in their final analysis. Narrative is malleable. Our lives are not written in stone, our destinies not set in the complicate fabric of the universe. Once a command of the structure and dynamics of a narrative is achieved, the storyteller dictates the story. We become victims of the process when we don’t look to the eventual outcome of our efforts. The more people understand story and truly appreciate how it works, the more effectively they can tell their own stories. That is our purpose here at Narrative First—to help you tell a better story. While we may be too late to help the victims of the Catholic Church scandal, we hope that by offering up our own unique understanding of narrative we can help the storytellers of tomorrow find their voice today.